Every business has got its own requirements. For some of your requirements there are generic software applications that you can use straight out of the box. For some of your requirements, these readily available applications may need to be tailored to your needs. And for some of your requirements, it may have to be developed right from the scratch either because of its uniqueness or because there nothing available in the market to meet those requirements. Free proof-of-concept of the application that your business needs based on "Try before you buy". This means that you commit absolutely nothing till you have a feel of the actual product and are convinced that it is the right solution for you. 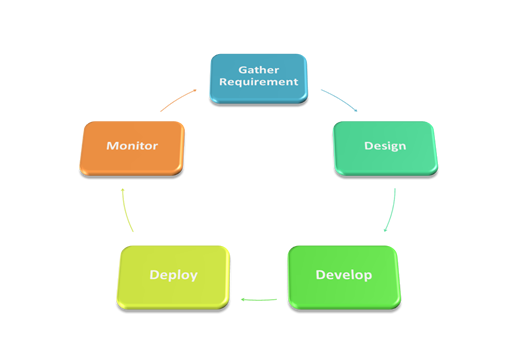 We use "Agile" software development methodology which is based on iterative development, where requirements and solutions evolve through collaboration between we and you. This is how this methodology looks like, at a high level. We develop all applications on Force.com platform. Click here to see the benefits of choosing us over others.